TFG is a unique combination of former high-level chief executives from the private and public sectors and academia in Australia, New Zealand and the United Kingdom. It brings together strong international as well as domestic experience. TFG has extensive experience in business strategy, hands-on management, policy development, organisational strategy and tactics, managing critical issues and developing solutions for companies, governments and non-government organisations. TFG Directors undertake each assignment personally and are willing to assist with implementation. Unlike some other senior advisory firms TFG does not assign a junior B team to carry out the work. Directors are also prepared to assist with implementing advice. 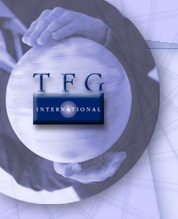 TFG International provides strategic and tactical advice based on a set of fundamental principles. They are the integrity of our dealings with clients and others, the intellectual rigour and quality of our analysis, and the highest standards of governance in our operation as a company. We are always willing to follow through on our advice by being involved with the implementation of the recommendations we make. Our business model is based on the principals of the company personally providing our services, a strict approach to avoiding conflict of interest, and a central focus on the interests of the client.